RuPaul is getting ready to return to our television sets, and luckily for us she’s bringing a fresh crop of All Stars with her. That’s right, kitty girl! In one week we’ll officially know the full cast of All Stars Season 3! VH1 announced Friday that RuPaul will host an hour-long special for the network, during which the RuPaul’s Drag Race All Stars Season 3 cast will be unveiled. Ru will also sit down with American recording artist Chaka Khan for an exclusive interview with the divine diva. The hour-long televised special, RuPaul’s Drag Race All Stars: Exclusive Queen Ruveal, will air on Friday, Oct. 20 at 8 p.m. ET on VH1. Rumors circulated all summer long about who made their way into the workroom for the new season of All Stars. (It was filmed in August.) But RuPaul is finally ready to se the record straight herself. A press release for the reveal indicates “the bar has been raised” for season 3 of Drag Race All Stars, which will feature “many unexpected twists and turns” throughout its run. We guessed that Kim Chi, Chi Chi DeVayne, Shea Coulee, Naomi Smalls, Peppermint, Trixie Mattel, Ongina, Shangela, Willam and Valentina sashayed their way back into the workroom. We also heard rumours Milk and Ben De La Creme were on the season. All we have to do is watch next Friday to see how right we (and the rumors) were! 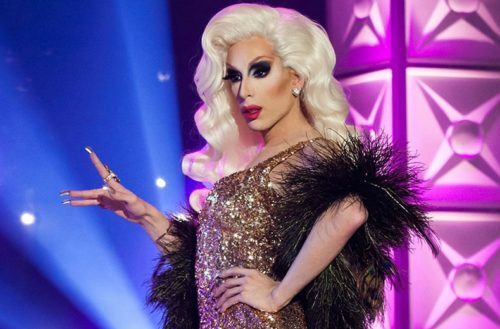 The full RuPaul’s Drag Race All Stars season 3 cast list will debut Friday, Oct. 20 at 8 p.m. ET on VH1.